As a licensed massage therapist, birth doula and postpartum doula, I have seen first-hand the benefits and effects of massage on pregnancy, labor and the postpartum period. Today I want to tell you how I incorporate massage into all my areas of support and expertise, and teach you the many ways massage can support a mother from conception through postpartum. During pregnancy I recommend at least one massage a month, but more if they are experiencing pain and tension. Some of my clients get massages every 2 weeks. I’ve had others who get far less. Whatever you decide, there is no doubt it will have a positive effect for you and your pregnancy. One of my clients decided to get massaged on the same schedule as her doctor’s appointments; once a month until 28 weeks, then every 2 weeks until 36 weeks when she started coming every week. I thought it was a brilliant plan. Massage provides many benefits during pregnancy including: “*Reduced back pain, reduced joint pain, improved circulation, reduced edema, reduced headaches, better sleep and reduced stress.” Plus, it feels amazing! Many women I know just do not take the time to take care of themselves. To me, massage is therapeutic, not a fancy “rich person” thing to do. 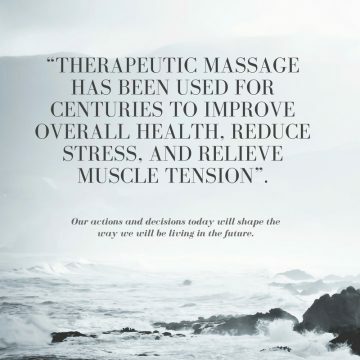 My business slogan is; massage is a necessity disguised as a luxury. I get massaged every two weeks because I need it, and not just when I’m pregnant! My body goes through a lot and If I don’t take care of myself then I won’t be able to keep doing the work I love for long. Some pregnancy symptoms that I have personally helped clients with include; SPD, carpal tunnel syndrome, TMJD, headaches, back aches, round ligament pain and edema. I cannot guarantee results but most of the time women see a lot of improvement. Many women contact me during the end of their pregnancy for a kick-start labor massage. This is actually one of my favorite massages to do. Of course it doesn’t always work, but well over half the time it does. I have even had women go into labor on my table! (Which I never get tired of.) A kick-start labor massage includes relaxing the back, neck and hip area as well as focusing on the acupressure and reflexology points that are known to start labor. If it doesn’t work, at least the pregnant mama got some needed relaxation and tension relief. I’ve learned special points to induce labor in classes and from mentors that have done this for years. I have practiced and honed my skills in the 6+ years since I’ve graduated from school. Almost all of my doula clients love foot rubs and back rubs during labor, as well as the counter-pressure techniques I do. There are certain acupressure points I use to make sure their labor progresses smoothly, especially if they have an epidural. I also use clary sage oil and some blends made by my doula agency, Beautiful Birth Doulas. Since I specialize in massage I include one massage in every doula client’s birth package, with the option of adding on more massages if requested. I actually have a good reason to include this, besides the fact that everyone needs massage. First, women seem to go into labor when they are relaxed. so keeping them relaxed in the final weeks of pregnancy is very beneficial. Second, by giving my pregnant clients a massage before they are in labor, I can gage their pressure preferences, ticklish spots, and tense areas. This allows me to know exactly what each client prefers and automatically do it when I’m massaging during labor! (Sneaky, I know, but it really does make me seem like I have “magic hands”.) Just as you want your doula to get to know you, it’s a good idea for her to get to know your massage preferences, too. As a postpartum doula, I cannot neglect the “4th trimester.” Though the first 6 weeks after birth are critical for recovery, this is a time most American women seem to skimp on. They feel the need to get up and go to church or go to the store mere days after giving birth. Here is my opinion, if you feel a surge of energy, save that energy for healing! And massage can be a great way to facilitate postpartum healing. Massage is appropriate and useful any time after a woman has given birth. Massage done within the first few days postpartum is typically most comfortable for the woman inside her own home, and I am always happy to provide these (even when mom is wearing her postpartum underwear!). Most moms who’ve had epidurals find that their back muscles around the injection site are sore and tender. Also many women give birth squatting or are bouncing on the birth ball during labor, which leads to sore legs and glutes. Generally I tell women that 2-6 weeks postpartum is an ideal time to come in and get a massage. During postpartum massage I always include the stomach, which most women love. Don’t confuse this stomach massage with the often painful “uterine massage” nurses perform soon after a woman gives birth. This is a very gentle, soothing massage that can help your uterus shrink down to normal, organs return to place faster, helps with constipation and also with digestion. If you have had a cesarean birth, I can’t do stomach massage until 6 weeks. If you are breastfeeding, postpartum massage can help with your strained back and neck from those awkward breastfeeding positions we sometimes find ourselves in. Pregnancy changes the body drastically over 9 months. I believe massage can help facilitate these changes and make for an easier birth and recovery. I would encourage all pregnant women to make prenatal massages a part of their pregnancy journey. Mention this post and get $15 of a massage or $50 off a doula package. Jennifer has been a licensed massage therapist for over 6 years. She graduated from UCMT. She’s loved every minute of it. The last few years especially, Jennifer has focused on prenatal massages, and is now a birth doula and postpartum doula. She usually incorporates massages into everything. 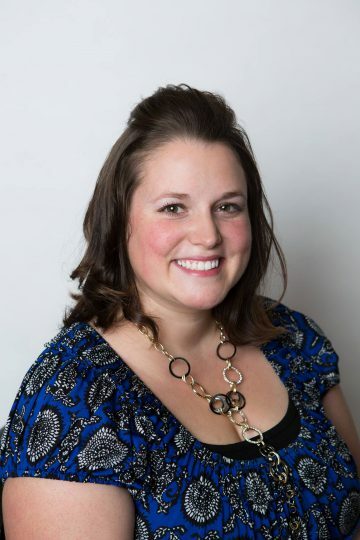 Over the years she has worked at spas and chiropractor’s offices as well as private practice. She is always hungry to learn and grow her knowledge to share with clients and friends. Jennifer is married to an amazing guy Dennis and together they have 2 daughters, 6 and 4 as well as another on the way! It’s no secret that I love natural childbirth. Not only do I love it, but research overwhelmingly shows that natural birth is the safest way for low-risk women to deliver. That being said, I absolutely hate the natural vs. medical birth fight. Why fight for a side when we should be fighting for safe birth? For most women, natural birth is what is safest, but not always. And just because something is safe, doesn’t mean it is easy! I can’t fully support either side of the childbirth debate because both sides downplay certain aspects of birth, and both sides exaggerate. The medical world downplays the risks associated with interventions, focusing solely on their benefits, giving women the false assumption that everything they offer is safe and prudent for every situation. The natural world focuses on the physiological benefits and safety of giving birth, but downplays how physically difficult and painful natural childbirth can be for many women. My writing typically focuses on giving women the omitted information regarding medical interventions, but today I’d like to focus on three areas that need improvement from the natural birth camp. Making natural birth out to be easier than it really is. Can natural birth be painless, even easy? Yes, to some; but the overwhelming majority of women find labor to be painful. Our epidural rate is all the proof we need to see that that general consensus is labor is painful. It seems like natural birthers (educators in particular) are insistent on telling women that birth is not painful, as a way to almost manipulate them into wanting a natural birth. But how does this serve the woman who will eventually go into labor and find out for herself that natural birth is not easy or painless? Some women will have a 3 hour labor with a baby that was optimally positioned, but others will have a labor with a posterior baby that causes intense back pain that not only makes labor longer, but more painful, too. Natural birth can be hard. Incredibly hard! And telling women otherwise is insulting and dishonest. 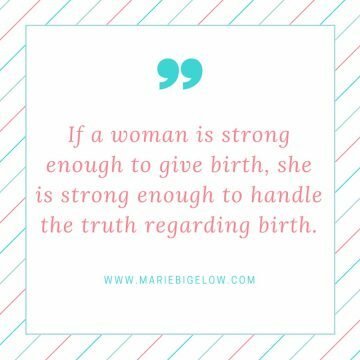 If a woman is strong enough to give birth she is strong enough to handle the truth. Whether you call it a pressure wave, a surge, or a moment of intensity, it’s still a contraction. You can change the name, but you can’t change what it is or what it does. Yes, we can give women helpful tools to lower their perception of pain, but we can also give them realistic expectations of how difficult labor is to many women. I like to tell my clients to expect labor to be difficult, but to also expect themselves to be strong enough to handle it. This lets them know that perceiving their birth as painful is not them failing at birth, but merely experiencing birth. It also lets them know that their body and pain threshold will rise to the occasion, and they will be able to cope. Making their clients hostile towards medical professionals. Something happens when women learn the real risks associated with interventions. They get mad, and they get afraid that a medical professional will take advantage of them. However, taking these strong feelings of distrust and defensiveness into the birthing room can bring a lot of unneeded contention into a birth. It is not only acceptable, but preferable for birth educators to teach their clients that although birthing interventions are grossly overused, that most medical professionals are merely just doing their job- providing the medical care they were trained and hired to provide. It’s an interesting predicament for both parties. The nurse is trained to give medical care, and the couple has chosen to birth in a medical setting, yet does not want anything the nurse is accustomed to providing. Instead the nurse is met with contempt. I see this frequently, and it serves no one and only makes what should be a peaceful environment one of tension and mistrust. Not preparing women for when they truly need interventions. I loved giving birth to all four of my children naturally. It made me feel strong and competent. But when I wouldn’t stop bleeding after giving birth to my fourth child, I begged for Pitocin, feeling nothing could be more excrutiating than the uterine “massage” my midwife was giving me; and knowing my options were uterine massage, Pitocin, or hemorrhage. Yet, I have seen women reject Pitocin after birth because they have been so engrained to decline interventions that they can’t even see that they need one! We need to teach our clients that our goal isn’t to avoid intervention at all costs. The appropriate use of interventions is our goal. Our goal is not to routinely use interventions or routinely deny them. Our goal is to understand them fully, and use them when they are needed and avoid them when they are not. Sadly, I knew I had not prepared her for this moment. I had prepared her for her beautiful, out of hospital birth. Giving her little information on the possibility of having to transfer, assuming she would understand that transferring meant she needed an intervention the birthing center could not provide. Childbirth education needs to be inclusive and extensive. In today’s world of options we can’t just focus on the safety of natural birth or the risks of interventions. True childbirth education isn’t one-sided, but educates on the full spectrum of possibilities and options. And that means not making your side of the debate seem infallible. We need to educate honestly so women do not enter their births with unrealistic expectations, feelings of mistrust and hostility, or inability to determine if they need medical support. Written by Marie Bigelow, MT, AdvCD(DONA). Author of The Sacred Gift of Childbirth: Making Empowered Choices for You and Your Baby. 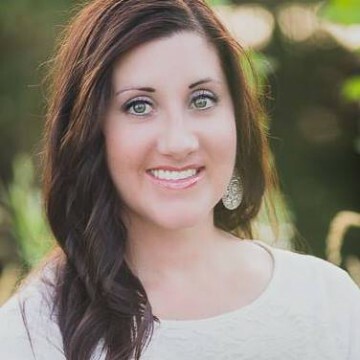 Marie lives in Boise, ID with her husband and four children. She attends births as a doula and teaches childbirth education classes.